The Werakata National park was initially formed on 26th February 1999 with a declaration of 1130 hectares of land. This land had been part of the Cessnock State Forest (State Forest No. 874). On 1st January 2003 a further 478 hectares of land from the Cessnock State Forest and 531 hectares from the Aberdare State Forest (State Forest No. 981) was added, making a total of 2139 hectares. The land is likely to have stayed in its pristine state for many thousands of years. 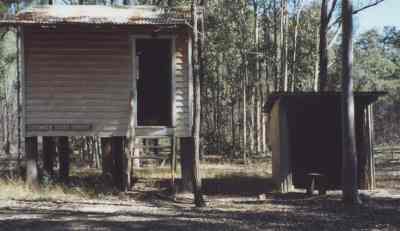 The Aboriginal people living there adapted to life in the forest rather than adapting the forest to suit themselves, as the European people did. The 1820s saw the first European settlement in Maitland and the exploration of the overland route from Maitland to Sydney, a path which ran through the centre of the current Werakata National Park. This route was developed into the Great North Road, a convict-built road, which was a significant engineering feat for a young colony. Soon after its completion in 1831 the steamers set up a regular service to Sydney, reducing travelling time and effort. The road was then mostly used for local traffic, connecting Maitland and Wollombi. It became a convenient route for transporting timber. The timber industry flourished in the Park area, initially with pit-sawn timber and with bullock teams hauling the timber to Maitland and the port at Morpeth. Sawmills were established in the 1860s and inluded one owned by William Harman on Old Maitland Rd, not far from East Cessnock, and another in the middle of the northern section of Werakata National Park, owned by William London. Harman's mill was moved to Cessnock in 1883. Another small mill owned by Capp was established near the current Lovedale Rd in Keinbah, just to the west of the National Park. With the discovery of coal the forest paid an important part in supplying timbers for thunderground mines, pit-props and timber slabs. Spotted gum was used for the pit-props, and the stumps were allowed to sprout (a practice called coppicing) to provide a quick regrowth for further harvest. Other timber products from the forest included railway sleepers, poles and piles. Selected spotted gums were harvested for the production of tool handles. Early settlers also split timber into shingles for roofing, and wattle bark was also harvested for its tannin, which was used by the early tanneries, and was exported. Parts of the park have previously been used for quarrying and mining. 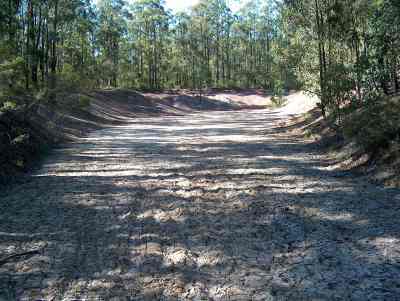 A large clay quarry on Old Maitland Rd supplied clay to Cessnock Potteries at Nulkaba. This pottery made bricks and ceramic pipes and tiles. A smaller clay quarry was developed in the northern part of the Park. A small gravel quarry to the west is likely to have supplied gravel for roadmaking. Much of the original State Forest area had been reserved for coal mining. The northern section was later divided into farm allotments and sold. The Cessnock State Forest was initially declared on 27th March 1942. Its area was successively increased with the annexure of land adjoining as it became available. This included land reserved for mining between Old Maitland Rd, Abermain and Neath. The Aberdare State Forest had originally been declared on 29th November 1963.